Honestly, even among people “in the know,” it can be a real challenge choosing the right kinds of fats and oils. Quality ultimately becomes key here. Fortunately, you can find a ton of helpful resources to navigate through the confusion in my new book, Eat Fat, Get Thin. Here, let’s focus on oils. Today we will discuss olive oil, coconut oil and palm oil—to help you make the best choices. In his book Extra Virginity, Tom Mueller takes us through the sublime, scandalous world of olive oil. 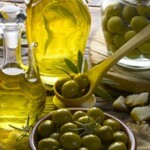 He discusses how resellers add lower-priced, low-grade oils filled with artificial coloring to extra-virgin olive oil. In fact, one study demonstrated about 69 percent of olive oil imported and labeled “extra-virgin” failed to meet standards in an expert smell and taste test (standard testing for this type of labeling). That’s outrageous! When it comes to olive oil (or really, any oil), you have to do your research and pick the right ones. Also look for cold-pressed olive oil, which means manufacturers use very little heat when processing olives to get the oil. 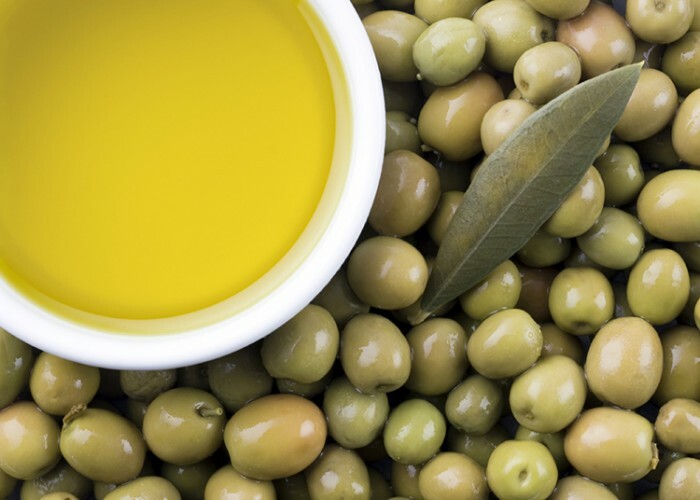 Cold-pressed extra-virgin olive oil provides the strongest possible nutrient value because of low-heat processing, coupled with the oil’s first pressing high phytonutrient content. 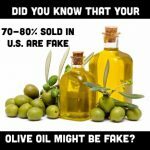 Be aware of misleading claims by big food companies who throw around misleading terms like “pure olive oil.” These somewhat misleading phrases, which are aimed for your wallet more than your health, often signify a mix of unrefined and refined virgin olive oils. Also avoid extra-light olive oil. Companies love slapping this “light” term on foods because it plays into your low-fat fears. These terms subtly suggest all fats are bad and make you fat, yet if you’ve read my books or blogs you know fats are not bad. Low-fat or “light” foods are typically highly refined and processed. Remember, nothing in nature comes in “low-fat” form. Use olive oil within one to two months once you open it for optimal health benefits. Research shows quality and health benefits decline after two months, even among properly stored olive oils. 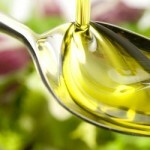 I love to use olive oil for low-heat cooking, dressings salads or drizzled over veggies, meat and fish. Some people take two tablespoons before meals to help with digestive health. 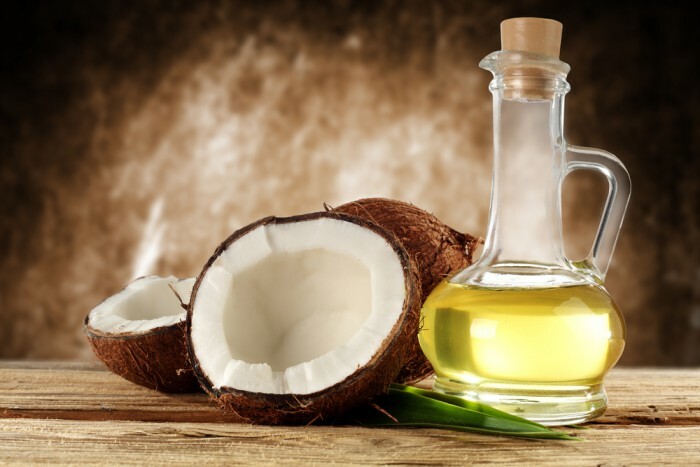 Coconut oil is one of the most versatile oils you can own. 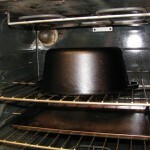 Because it’s very stable, you can bake with it and use it when cooking meat, veggies and sauces over medium-high heat. You can put it into your smoothies, stir it into hot beverages like tea or coffee, mix it into soups, stir in with nut butter or just eat it right out of the jar by the spoon full. Palm oil is a vegetable oil pulled from the palm tree’s fruit. About 85 percent of the world’s palm oil comes from Malaysia and Indonesia. It is important to note that most palm oil in our food supply is “conflict palm oil” that involves deforestation, disruption of ecosystems and human rights violations. These versions are by Big Food companies. Avoid “palm kernel oil,” refined palm oil or crude oil—all of which is extremely processed. 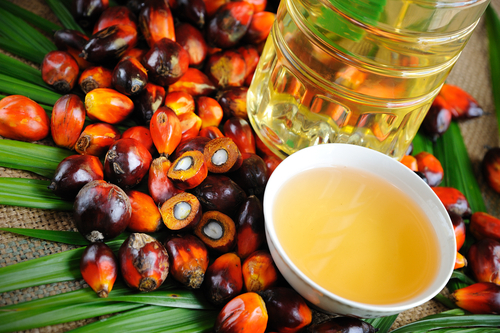 Palm oil can be listed under many names, including palmitate, glyceryl stearate and palm kernel oil. The next time you purchase olive oil, coconut oil, red palm oil or really any other type of oil, consider these six strategies. 1. Always choose organic, unrefined, cold-pressed or expeller pressed. These terms ensure you’re purchasing a quality, highly nutritious and sustainable product. Organic production prohibits genetically modified ingredients (GMOs) and the use of toxic solvents (such as hexanes) for extraction in oils. 2. If possible, check out the company directly. Ensure the product is truly cold-pressed and lives up to its claims and standards and that the manufacturer does not use toxic solvents in the refining process. Check out websites and don’t hesitate to email or call them with any concerns. 3. Choose oils in dark, not clear bottles. The dark color helps protect the oil from direct sunlight exposure, which can cause it to go rancid. Store the oil in a cool, dark place away from heat and light exposure such as cabinets or the fridge in airtight containers. Never store oils on kitchen counters or next to the stove. 4. Always tightly close the lid after using. Oxygen can make oil go rancid quickly. 5. Purchase the correct size and consume in the time recommended. Remember oils tend to go bad after a span of a few months or years depending on the type of oil. Those mega-store gargantuan containers, aren’t such a great buy if you don’t use the oil that often. 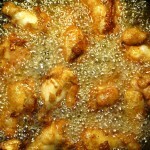 The Crispy Truth: What is The Healthiest Oil For Deep Frying?